What’s In A Car Name When It’s Letters and Numbers? Have you ever pondered over why that BMW that just cut you off in traffic is called a 335i, or why your co-workers Mercedes-Benz that takes up two parking spots in the morning has the letters and numbers “C300” slapped on its trunk? 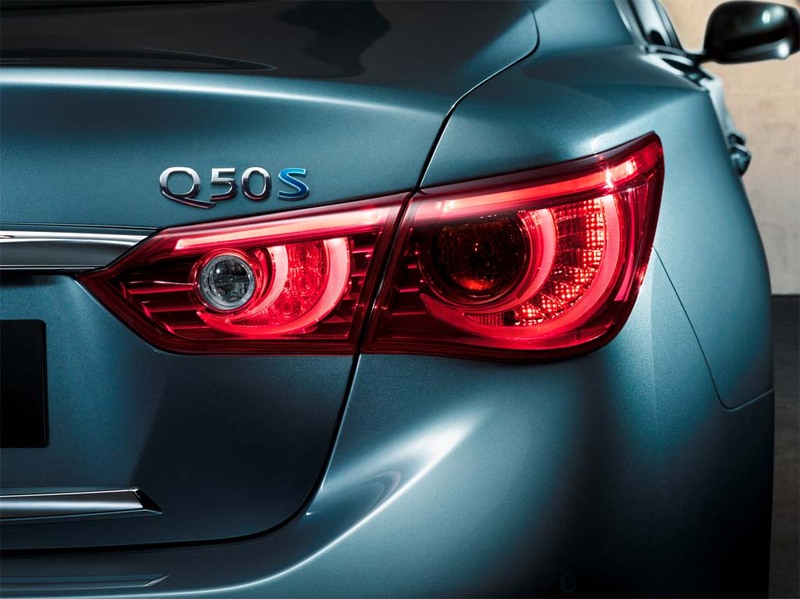 What about that new Infiniti Q50, isn’t that supposed to be the new G37? Of course you have wondered and so has everyone else who can’t keep up with the fast-moving incremental nomenclatures of some automobiles today. So, why are there letters combined with numbers on so many cars and what do they mean? I’m glad you asked, because sometimes I am nearly as confused as you are. Actually, I have my own reasoning for the selection of such numbers in manufacturers’ car lines. Some of my reasoning may not be exactly fact, but it sure makes a lot of sense and you may hear the same thing from the drunk marketing department that gave an Audi a number as high as 5000. I just wanted to get that disclaimer out of the way before you send me that nasty email on why your Audi A4 or Cadillac CTS is named what it is because your salesman said the name means “Awesome to the forth power” for “A4” or “Cool Touring Sedan” for “CTS”. Wouldn’t it be interesting to be that fly on the wall of the corporate offices belonging to major automotive manufacturers when they conjure up a name for a new vehicle? Well, in them coming up with a name it all comes down to perception of the masses. Car names consisting of a real word is a no brainer in many cases. You have your Mustang, Camaro, Camry, Charger, 4Runner, Focus, Escalade and so on. Some of those are named after real THINGS, like horses and ancient military maneuvers. When it comes to letters and numbers, things tend to get a bit dicey. BMW, over many years, has had variations of the 318i, 320i, 323i, 325i, 328i, 330i, 335i, M3, and that is just for the 3 Series lineup. Audi has A-everything and some others in the mix, Benz has C, E, S, CL, ML, S, SL and more – all followed by a number. Cadillac has, well, a bunch of letters and the Escalade, Acura has letters too. Let’s not even get started with Lincoln, we are just asking for problems in our attempt to get the MK-whatever model right. The list goes on. It sure would be nice to have some type of understanding around these numbers, right? Of course, the problem is, there is only some consumer understanding among a few makes that can be easily explained. Among those, Audi, BMW, Lexus, Mercedes-Benz, Infiniti, and Volvo are a few I can quickly wrap some understanding around. My understanding around those is that the letters and numbers signify a range to indicate vehicle and engine size. For instance, taking BMW’s number lineup you have the 3 Series sedan vehicles in the current model year having the names 320i, 328i and 335i, not including the all-wheel-drive, diesel or wagon variations. The 320i is obviously more of a lower variation of the 3 Series family with a smaller engine. By this assumption you would place the 328i a notch above the 320i, which it is, by having a more-powerful turbocharged 4-cylinder engine. Some would think the 328i has a 2.8-liter engine. Not exactly. These new numbers no longer signify the liter size as it does with the 320i or BMW 320i’s from many years ago. BMW used to follow closely with the liter numbers of their engines identified by the last two numbers of its model name ie, an older 330i had a naturally aspirated 3.0-liter inline 6-cylinder engine or a 535i from many years ago had a 3.5-liter 6-cylinder. 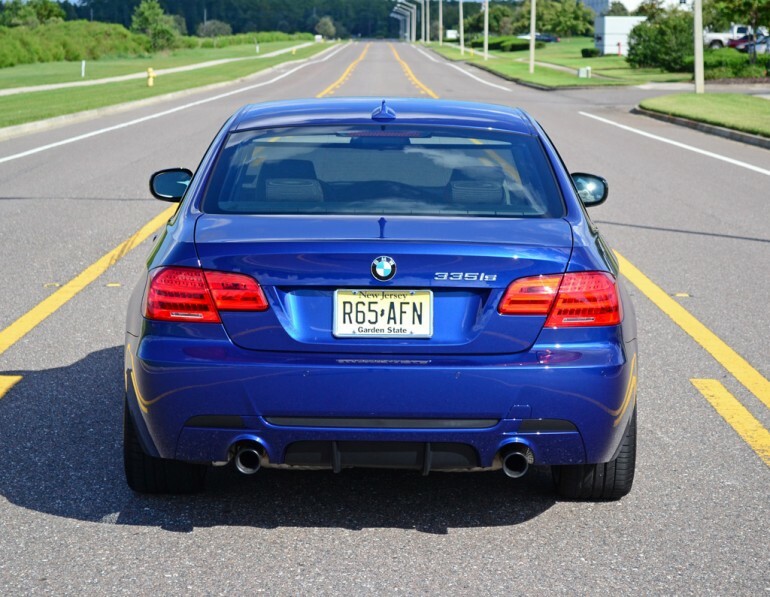 Now, the 335i has a 3.0-liter inline 6-cylinder engine, only it has a twin-scroll turbocharger to produce much more power than the naturally aspirated 3.0-liter inline 6-cylinder engine from generations ago. This same concept was loosely followed by Mercedes-Benz. 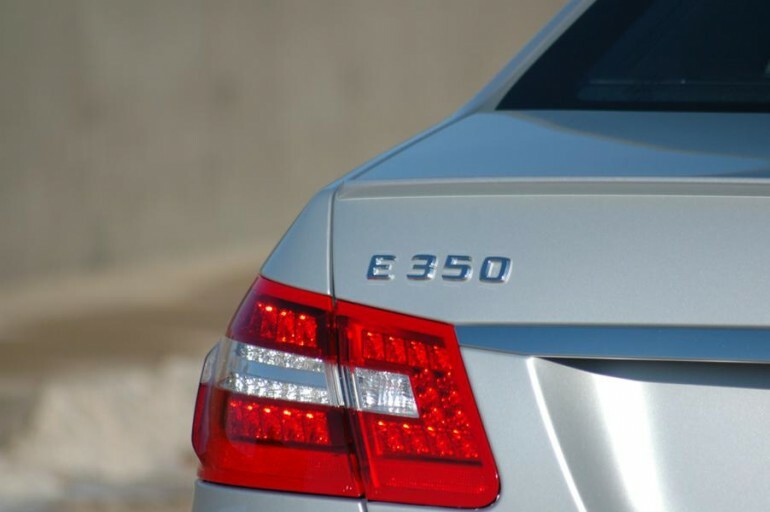 One vehicle that comes to mind to thrive off of the liter-size of an engine was the 2008 E350 or something like a 2009 C300. They had a 3.5-liter V6 engine and a 3.0-liter inline 6-cylinder engine respectfully. Basically, the model number matched its engine’s litter size in some form. 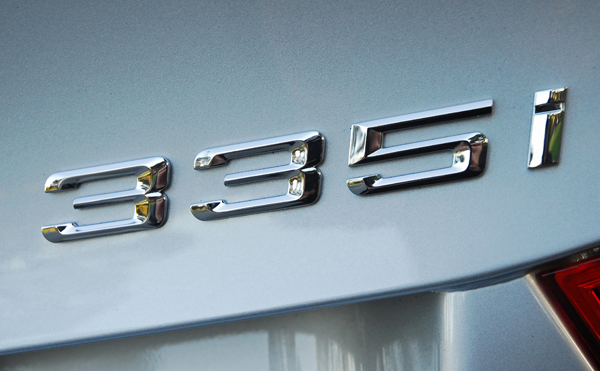 Today, the all-new 2015 C300 has a 2.0-liter turbocharged 4-cylinder engine yet the 2015 E350 retains a 3.5-liter V6. Volvo has the new S60 T6, which used to have a 6-cylinder engine but now has a supercharged and turbocharged inline 4-cylinder. Fundamentally, the horsepower figures have remained close enough to retain these names, if not the displacement. That shades of grey area makes way for some luxury hybrid vehicles, such as Lexus, to sport numbers higher than its gas-powered sibling because the electric motor adds additional power to the formula. 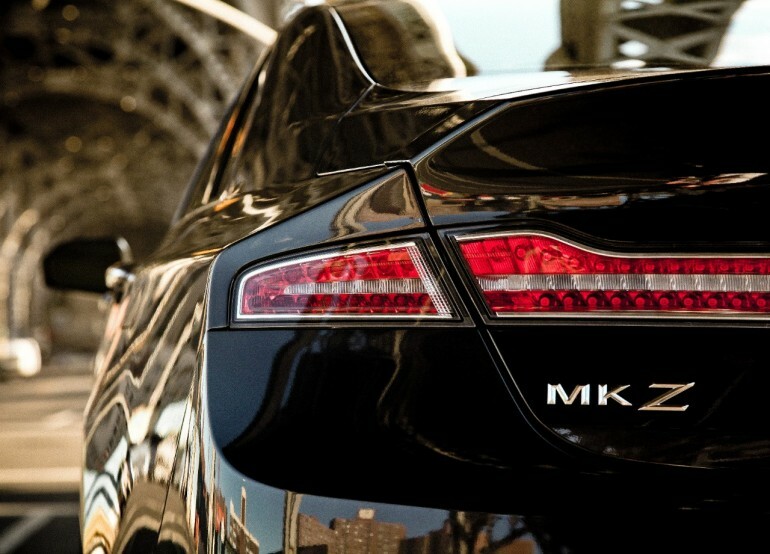 An example would be the Lexus LS460 L, a 386-hp 4.6-liter V8-powered luxury vehicle. It has a hybrid version named the Lexus LS600h L with a total of 438 horsepower, which of course comes at a higher cost, too. There really is no way of surely knowing what is under the hood of today’s cars just by its name, which may consist of letters and numbers. However, the higher the number and/or letter, usually identifies a stronger engine and higher stature in the automotive food chain. That means an Audi S8 is something much more substantial than an Audi A4. Same goes for the BMW 328i up against a new BMW 750i. That 750i has a 4.4-liter turbocharged V8 engine and sports a nearly-six-figure price tag while the 328i makes due with a turbo 4-cylinder and starting price around $37,000. Rather elementary stuff here when you look at it that way. Some folks prefer traditional names over all of this letter-number business. I don’t blame them. I couldn’t imagine a day when the Mustang is called anything but a Mustang. Of course I don’t mind a GT500 followed by the name, still, it is called a Mustang Shelby GT500 or Shelby GT500. For now, most of the alphanumeric naming structure is reserved for luxury vehicles with exception of a few, like Chrysler or Mazda. Hopefully now you will have a better understanding as to the “why” and “what” behind these crazy automotive model letters and numbers. In a nutshell, they are all a direct correlation to their prestige and power output within its own model lineup. Although, I never understood the Audi 5000.